Are Credit Card Sign Up Bonuses Taxable? As reported by the LA Times, Citibank stirred up some controversy this week by mailing out 1099 tax forms to customers who received miles as a reward for opening a new checking or savings account. As a result, many consumers were stuck with an unexpected tax bill. To add insult to injury, Citibank chose to value those miles at a hefty 2.5 cents apiece, making a bad situation even worse. Why is Citibank doing this? Why send out the 1099s? Why value the miles at 2.5 cents each? Surely, Citibank’s cost to purchase the miles was significantly less than that. And while it is possible to get 2.5 cents of value or more out of a mile, most experts would agree that it is an aggressive valuation. 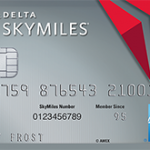 What about miles earned from credit card bonuses? in those cases, miles [received for using a credit card] wouldn’t be taxable because they’re more like a rebate. In contrast, awards associated with opening an account are similar to a gift or award: “When frequent-flier miles are provided as a premium for opening a financial account, it can be a taxable situation subject to reporting under current law,” said Michelle Eldridge, an IRS spokeswoman. Strange as it may seem, the annoying initial spending requirement that accompanies many credit cards is apparently the primary impediment that keeps sign up bonuses from getting taxed. Disclaimer: I am not a CPA and this should not constitute tax advice. Before taking any action, consult a tax professional to assess your own personal situation. Bank of America, I’m sorry to say, is doing this too. They offer Worldpoints as a signup bonus, which are just like Citi’s Thank You points and can be redeemed for cash. Last year I redeemed my points 3 times for a total of $200. Last month I received a 1099 from BOA showing the $200 as a ‘reward/gift’. I wonder if I still would have received a 1099 if I redeemed the points for a $200 statement credit instead? Thanks for the additional data point, Mike. Were these points a signup bonus for a checking/savings account or a credit card? You also pose an interesting question about whether a statement credit would be treated differently by BofA. Seems like there shouldn’t be any difference, but you never know. The points were signup bonuses for BOA credit cards which I applied for. I open bank accounts for the signup bonuses so frequently that it’s almost like a part-time job. They’ve always sent me 1099’s for the bonus amount at the end of the year, however, this is the 1st time that a bank has ever reported a credit card bonus which I’ve received to the IRS. Very interesting. Thanks again, Mike. One final question: did the signup bonus for the BofA credit cards that you received the 1099 for have an initial spend requirement? Two of them had no minimum spending requirement, and as I recall, the other one only required you to spend $75. So your next question is going to be “which cards had no spend requirement” right? I’ll answer that: The Norwegian Cruise Lines Mastercard and the Sandals Resorts Visa card each give you 10,000 Worldpoints, which can be exchanged for $80, after you make your first purchase, which can be in any amount. I probably should give credit for my finding this one, which goes to iBankDesign.